Lament, dance, compose and exhibit. 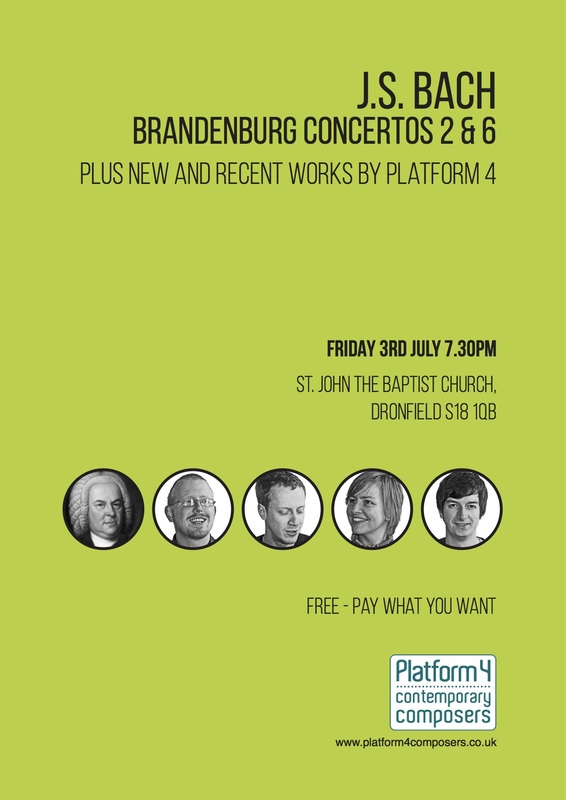 I have written a short piece for the next Platform 4 concert on Friday 3rd July, in Dronfield (see poster below). 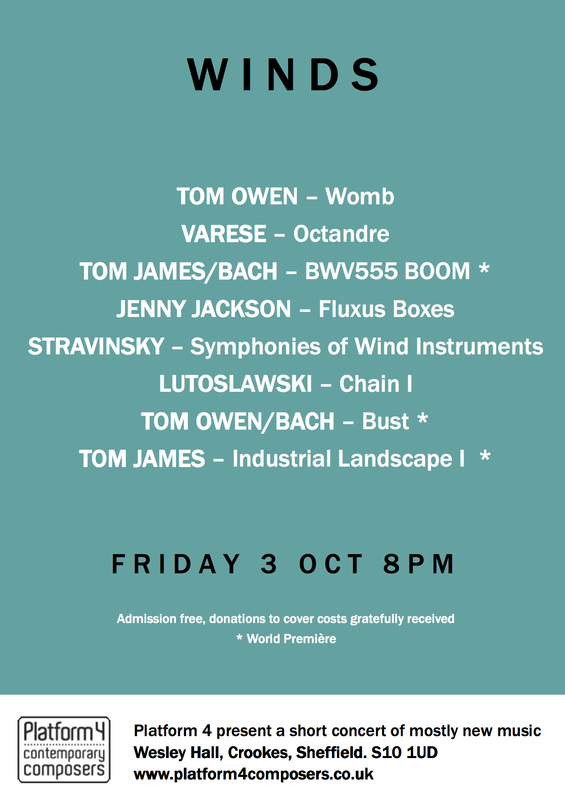 The piece is called ‘Lament’ and is scored for Cello Solo (but you should never believe everything in print)… Although it’s a short piece, it feels like a massive achievement for me as, for a significant part of the last year, I have felt completely disconnected with composing and music in general. I had convinced myself that I would never write anything again! Sounds melodramatic, but it didn’t feel like it. So, perhaps the title and the character of the piece reflects how I was feeling but it has also given me a vehicle to express emotions surrounding some difficult events that have touched me over recent months. I decided to stop trying to be clever and just write what came easily, and this is the result. Another development is that Platform 4 have begun a collaboration with dancer Hannah Wadsworth Hannah’s Linkedin page We are at the early stages but hope to have some new work to present early next year. 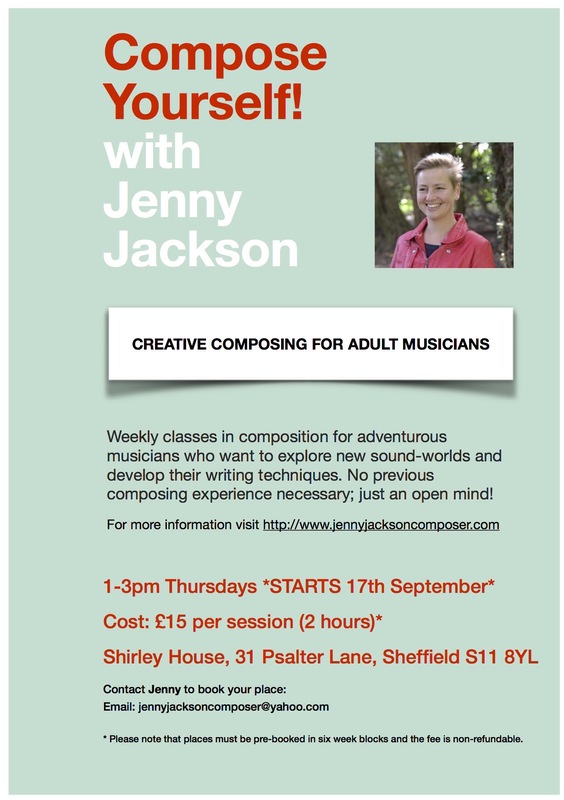 My course proposal ‘Composing for Beginners’ has been accepted by Benslow and will run next year from Fri 17th – Sun 19th June Benslow Course Brochure I am really excited to be teaching at Benslow, which is a fantastic venue and a brilliant organisation, and look forward to encouraging adult beginners to explore and create new works. ‘Vent’ is my interpretation of Lisa’s painting called ‘Windstorm Geno’, which she produced some years after experiencing the extreme weather conditions in Scotland, where she currently lives. I often work from my own visual sketches during the writing process and I was excited to see how it felt working from someone else’s artwork. Of the four paintings she provided the four members of Platform 4, ‘Windstorm Geno’ was the most expressive, and the least like a score. I maintained the overall structure, reading from left to right, but interpreted the drama of the gestural mark-making rather than specifically attempting to relate an instrument to a particular line or colour. You can hear ‘Vent’ here: Vent – audio recording It has been a really interesting project and the results/ approaches are – not surprisingly – very individual!